CONTROVERSIAL CHINESE RESTAURANT MANAGER ZHAO YANG RELEASED ON SH100, 000 CASH BILL BUT ORDERED TO DEPOSIT HER PASS IN COURT. 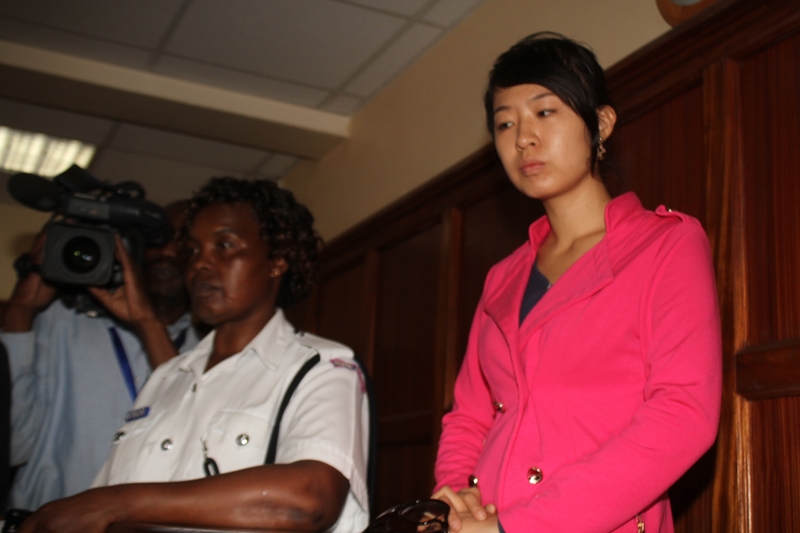 The controversial Chinese restaurant manager Zhao Yang at Milimani law court where she was charged with operating a restaurant illegally and without a work permit on March 26 ,2015.. The manager of the ‘racist’ Chinese restaurant was released on a Sh100,000 cash bail on Tuesday. Esther Yang’s bail was granted bail after she said, through her lawyer Cliff Ombeta, that she was willing to adhere to release conditions. Resident magistrate Elena Agade ordered her to report to the Tourism Liason Office at Utalli House every two weeks until the case is determined. The manager of a Chinese restaurant in Kenya at the center of racism storm was charged before a Nairobi Magistrate court on Thursday with operating a restaurant illegally. 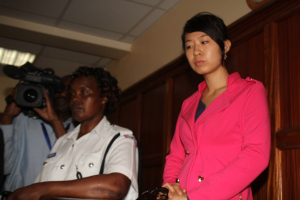 Nairobi resident magistrate Miriam Mugure ordered Ms Zhao Yang detained for two days after the prosecution objected to her release on bail on the grounds that she is a foreigner and has refused to surrender and disclose details of her immigration status. She denied that on March 23 at around 11am, along Galana Road in Kilimani, Nairobi, being the manager of the Chinese Restaurant jointly with others not before the court, they were found operating the restaurant in contravention of a section of the law prohibiting the operation of a Class B restaurant without a tourism licence. Ms Yang has also been charged with being engaged in employment without a work permit. An affidavit in objection to her release, sworn by investigating officer Charles Wandera, said that while on inspection duties in Kilimani, it was established that the restaurant was being run by the suspect. The affidavit was presented before resident magistrate Miriam Mugure. The owner of a Chinese restaurant in Nairobi, Kenya was arrested following an uproar over its policy of banning African customers at night, according to reports. Owner Zhao Yang was arrested for operating a restaurant without a valid license shortly after local press ran a story alleging that Kenyan reporters were turned away from the restaurant for being African. Kenya’s Daily Nation newspaper carried a story on Monday that its reporters had been barred entry to the restaurant, being told by a guard at the entrance that “the time for Africans is over” when the journalists arrived at 7 p.m.
Only locals accompanied by Chinese, European or Indian patrons would be admitted, the newspaper reported. The restaurant, located at the junction of Galana and Lenana roads in Kilimani, Nairobi, reportedly served dogs to its customers. Interviewed employees further said the restaurant served as a brothel and was in deplorable condition.Nairobi Governor Evans Kidero shut it down last week saying it will remain closed until the owners comply with all regulations. WAITITU CLEARED BY IEBC DISPUTE COMMITTEE TO VIE FOR KABETE SEAT. Former Embakasi MP Ferdinand Waititu celebrates with supporters after winning JAP ticket to contest in Kabete by elections. The Independent Boundaries and Electoral Commission’s dispute resolution committee has allowed Ferdinand Waititu to contest the Kabete Constituency seat. Two Kabete constituents want former Embakasi MP Ferdinand Waititu’s candidature for the Kabete by-election blocked. Stephen Charles Maina and Naomi Wambui Kamau have requested the election dispute resolution committee of the Independent Electoral and Boundaries Commission (IEBC) to reject Mr Waititu’s candidature on grounds that he lacks moral authority to hold public office. “It is therefore our finding in the premises that the complaint as presently lodged before the committee is premature, speculative and lacking it merit. The committee hereby declines to grant orders sought in toto and dismisses the complaints” stated the ruling. Through lawyer Haron Ndubi, the two claimed that the nomination of Mr Waititu by the Jubilee Alliance was improper for the reason that he is notoriously known in the country as a habitual law breaker who violates the provisions of Chapter Six of the Constitution, which advocates for integrity among public office holders. “Mr Waititu is known to have publicly incited a section of the public against members of the Maasai community residing in Kayole, Nairobi. “The incitement happened when he was the serving Embakasi MP within whose jurisdiction Kayole fell,” explained Mr Ndubi. He added that Mr Waititu is known to have publicly assaulted members of the public by hurling stones and other crude weapons against them, with a view to injuring them. Mr Maina and Ms Wambui said through their lawyer that Mr Waititu has too many unresolved issues concerning his integrity and conduct, hence would not qualify for appointment, nomination or election to public office upon due diligence examination by a public entity including the Jubilee Alliance Party (JAP). They said Mr Waititu has acted with impunity, contrary to the expectations of the Constitution and the Public Officer Ethics Act, The Political Parties Act, the Elections Act and the Penal Code. The two have initiated the complaint before the IEBC election dispute resolution committee High court has directed two voters who want the nomination of Ferdinand Waititu nullified to seek their grievances at Independent Boundaries and Electoral Commission’s dispute resolution committee. Justice Isaac Lenaola, said the petitioners Mr Godfrey Mwaki and Joseph Njuguna should consider to withdraw their application as the court lack jurisdiction to hear the matter. The judge declined to issue orders sought in the notice of motion, saying the court may not entertain the application. “This matter that can handled by IBEC dispute resolution committee and not the court” he said. They argue that the electorate in Kabete constituency stands to suffer poor representation in the National Assembly due to lack of moral integrity characterized by violent conduct of the JAP nominee. Justice Lenaola directed that the matter be mentioned on March 25 to confirm compliance of the direction of the court. 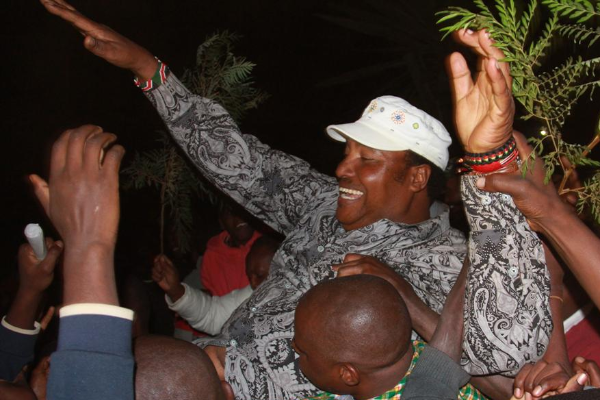 Waititu won the JAP nomination after garnering 14,696 votes against his closet rival, former State house official Samuel Mburu, who got 2,334 votes. CONTROVERSIAL CHINESE RESTAURANT MANAGER ZHAO YANG CHARGED AND REMANDED FOR TWO DAYS. The controversial Chinese restaurant manager Ms Zhao Yang at Milimani law court where she was charged with operating a restaurant illegally and without a work permit. It also reported that two local politicians, “loyal patrons” Nairobi Senator Mike Sonko and former Cabinet Minister Raphael Tuju, had been admitted, the latter being a friend of the owner. Kenyan social media users were quickly up in arms about the ban, taking to Facebook and Twitter to voice their displeasure, using the hashtag. The Consumer Federation of Kenya (Cofek) wants the government investigate and deal with what it terms as increased racism by corporate, especially by foreign firms operating in the country. Cofek Secretary General Stephen Mutoro says they have received concerns from employees of at least 12 different companies on challenges of being discriminated because of their skin colour. “Of the 12 companies that we have received complaints from, seven are not local. I would like to say that this problem of racism in our firms is real and need to be addressed. You may not understand until it comes close to you,” Mutoro said. Cofek is now calling on the Capital Markets Authority (CMA) and the Immigration Department at the Ministry of Interior and Coordination of National Government to work together and ensure proper scrutiny of those being given local work permits. He says some of the major raised concerns include mass sacking of the locals in the favour of expatriate as well as poor working conditions. “When you have sacking of Kenyans to bring people who don’t even qualify for a job, tells you there is a problem. People who don’t even have secondary education are being given big jobs in this country,” Mutoro said. Cofek argues that if the issue is not addressed, it could raise unnecessary animosity amongst the members of staff which could end up scaring other genuine foreign investors away. “The country must do all it can to ensure that we attract many investors into our country. But just like any many states, we must ensure there are laws and regulations to protect our people,” he said. Mutoro’s statement comes a few days after a Chinese restaurant in Nairobi was accused of discriminating Africans by not allowing them to enter the eatery from 5pm. The restaurant has since been closed over licensing issues. Mutoro mentioned the issue on Thursday when Cofek’s was marking its fifth year anniversary with emphasis being on consumer awareness in the country. The lobby group plans to raise Sh100million every year for the next five years which will be largely used to increase consumer awareness and protection of their rights. The magistrate ruled that there were compelling reasons to deny Ms Yang bail and directed that she be held at the Lang’ata women’s prison till Monday, when the case will be mentioned. CORTEC MINING COMPANY APPEALS HIGH COURT DECISION THAT RULED IT SPECIAL LICENCE WAS ACQUIRED IRREGULAR. 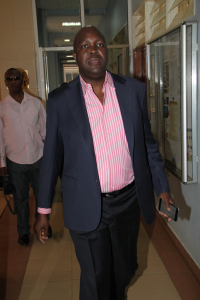 Cortec Mining Company Limited Kenya Director Jacob Juma leaving Milimani Law Courts on Friday 19 March 2015 after high court ruled that Cabinet Secretary Najib Balala was right to cancel a licence issued to mining firm Cortec Ltd as it was acquired irregularly. An international based Kenya based Cortec mining company engaged in mining minerals has moved to court of appeal seeking to set aside the judgment of the high court which discharged its application that sought to quash the decision of the minister to cancel its license. Cortec mining Kenya limited is aggrieved with the judgment of Justice John Mutungi and now wants the appellate court re-evaluate the decision of the superior court. The company’s director Jacob Juma, says that the judgment of the high court is flawed and the court did not address the issue as contained in the application for judicial review. He says that company had been issued with license in 2008 it was only by Cabinet minister Najib Balala last year when it sought its renewal. Juma says that the company had complied with requirements which included environmental Impact Assessment study report for the proposed Mrima Hill niobium and associated rare earth mining. He argues that the court did not take into account several issues raised in the application. When the court gave the conservatory order its had been established that there was prima facie case which in the final analysis the judge should have allowed the sought in the application. Cortec lawyer Nelson Havi had told the court that the mining company had complied with the requirement under the Forest Act and the National Environment Management Authority (NEMA). The decision of the minister to order the cancellation of the license issued between 14 January and 14 May 2014 was unlawful and ought to be quashed by the court. Mr Havi submitted that the action by the Cabinet Secretary is amenable to judicial review proceedings, which the applicant has properly applied to have the same set aside. He said the applicant had made the entire requirement as set out under the mining Act, saying it’s the commissioner of Mining and Geology who ought to summon the management of Cortec if there was none compliant to regulation and rules and not the minister. High Court on Friday last week ruled that Cabinet Secretary Najib Balala was right to cancel a licence issued to mining firm Cortec Ltd as it was acquired irregularly. Justice Onesmus Mutungi in his ruling Friday morning stated the firm acquired the licence without following the right procedure. Cortec had sued Mr Balala for cancelling a licence issued to the firm to mine niobium at Mrima Hills in Kwale. The company had argued that the decision to cancel the licence was unlawful and that it would lose $600 billion (Sh53 trillion) in investments. Justice Mutungi said the act by the Commissioner of Mining to issue the licence to the firm amounted to abuse of office. At one point, Cortec Country Director Jacob Juma claimed that Mr Balala had demanded a Sh80 million bribe from the company. During the hearing Mining Cabinet Secretary Najib Balala was accused of having acted arbitrary when he canceled a license issued to Cortec a mining company, the court has been told. Justice John Mutungi heard that the minister acted outside his power which is vested upon the commissioner of mining and geology. Cortec lawyer Nelson Havi said that the mining company had complied with the requirement under the Forest Act and the National Environment Management Authority (NEMA). Mining Cabinet Secretary Najib Balala maintained that a licence awarded to a Canadian firm was invalid in law, a situation that forced him to revoke it. Through his lawyer Fred Ngatia, Mr Balala told the High Court on Tuesday that the Cortec Kenya was among 43 firms that had been granted licences by the Commissioner of Mines Richard Keya between January and May last year. The claim was made in a suit in which Cortec is challenging Mr Balala’s decision to revoke its licence to mine Niobium, which it was expected to start exporting in 2016. Mr Ngatia told the Court that Cortec had not obtained licences from the National Environmental Management Authority licence and the Kenya Forest Service before applying for the mining licence. This, according to the CS made the special licence granted to it invalid as it had not conformed to provisions of the Mining Act compelling it to acquire the two licences first. Cortec told the Court that it only needed to get the NEMA and KFS approvals after being granted the mining licence. The firm claimed it had received a letter from NEMA and KFS to the effect that it had approved the proposed mining project, but that it would be valid for 24 months from the date it was to commence mining. “KFS had agreed to write a letter of no objection once some conditions had been met,” Cortec said. Mr. Havi submitted that the action by the Cabinet Secretary is amenable to judicial review proceedings, which the applicant has properly applied to have the same set aside. He said the applicant had made all the requirement as set out under the mining Act, saying it’s the commissioner of Mining and Geology who ought to summoned the management of Cortec if there non compliant to regulation and rules and not the minister. JUDGE WITHDRAWS FROM MURUNGARU LIBEL SUIT CITING ATTEMPT TO INFLUENCE HIS DECISIONS. 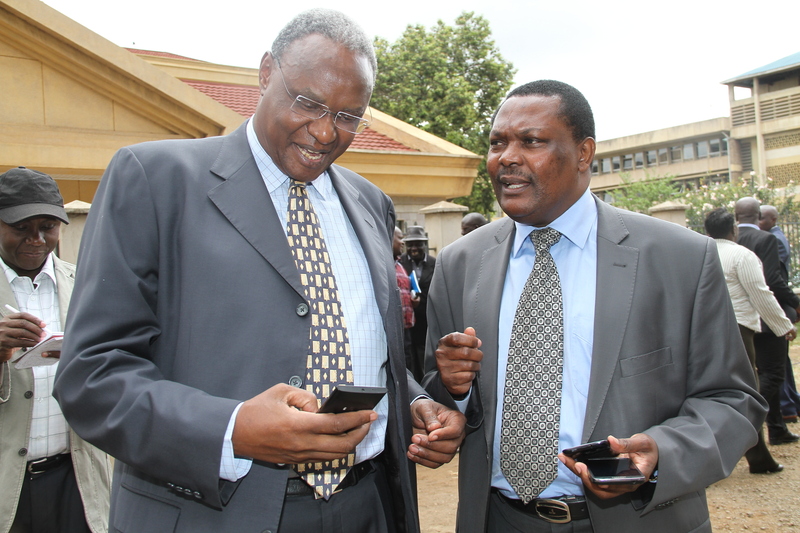 Former powerful Cabinet minister Dr Chris Murungaru with his lawyer Kioko Kilukumi outside Milimani law courts after they were informed justice David Onyancha has decided to withdraw from hearing the case as he cannot allow his judicial discretion to be put in reputation. There was an attempt to judge David Onyancha to interfere with the former powerful Cabinet minister Chris Murungaru versus John Gitongo Anglo Leasing defamation case. The judge who did not disclose much about the issue said he had decided to withdraw from the case as he cannot allow his judicial discretion to be put in reputation. Murungaru said he was disappointed with the judge decision since he was having full confidence with the judge in hearing the suit that has lasted for the last 10years. “Am very disappointed with the news we have received today and I will write a letter to judicial service commission complaining on the interference of judicial officers by some powerful forces who wanted to influence judge decisions” said Murungaru. Former Minister further said he will seek the judge to expose the powerful person who attempted to influence his decision that led the judge to withdraw from the case as he cannot allow his judicial discretion to be put in reputation. “An attempt to interfere with my judicial discretion and independence has been made in this case. After giving the issue sufficient consideration. I have decided to cease from presiding in further proceedings of the suit,” Onyancha said. The judge said he had discussed the issue with the head of civil division judge Mbogholi Msagha for the purpose of relocating it to another judge to its completion. In hearing the suit yesterday, Msagha said he will not compel judge Onyancha to explain why he had withdrawn from the suit which Murungaru accuses Githongo of linking him to the multi-billion Anglo Leasing scandal which was a pack of falsehoods? The judge said returning the file to Onyancha to state the reason why he had dismissed himself from the suit which arose due to the scandal which hit President Kibaki’s early days will not alter his order to withdraw from the suit. “I am of the view that the disclosure of the reasons as to why the learned judge has recused may be served through other means because the return of the file to him to state the reasons may not alter his order to excuse himself,” Mbogholi said. Earlier, Kilukumi said the judge has a duty to disclose why he had dismissed himself from the suit or else he becomes part of the accomplice in interfering with the case. “My client filed the suit nine years ago. He has given evidence, called his witnesses and closed his case.My client wonders if he will get justice before the next judge without full disclosure,” he said. Lawyer Andrew Wandabwa for Githongo said he was equally baffled with the new development as his client had cut short a visit to Stratford University in the United States to attend to the case. “The file should be returned to the judge to state to us the reasons why he had withdrawn from the case,” Wandabwa said. The case was to continue yesterday with witnesses among them former Prime Minister Raila Odinga and former Nation Editor Joseph Odindo expected to testify in defence of Githongo. The case will be mentioned on April 16 for further directions. CORTEC MINING COMPANY HAS LOST BID TO QUASH DECISION OF CS BALALA OVER SPECIAL LICENCE. High Court has ruled that Cabinet Secretary Najib Balala was right to cancel a licence issued to mining firm Cortec Ltd as it was acquired irregularly. Basu Company limited also joined the battle but the rival company says it had not been issued with license for exploration Mrima Hills where its competitor has been issued with license. Cortec have an order stopping the government from issuing or awarding the license at same region to another organization pending the hearing of the judicial review proceedings before court. The company said it had obtained approval from the National Environmental Management Authority to mine at a cost of Sh13 million. minister revoked the licence, said Cortec-Kenya, adding it had not breached the Mining Act in any way. CS Balala said in his defence that the special mining licence given to Cortec was illegal and that he had a duty to protect public property by revoking it alongside 43 others. JUSTICE WAKI OBJECTS MAKING PEV REPORT TO ICC PUBLIC. Ugandan scholar David Matsanga and lawyer Waithaka Ngaruiya outside Milimani law courts building after filing a case seeking to compel ICC Prosecutor Fatou Bensuada,Attorney and Attorney General to publish and publicize the names in Waki secret envelope. Appellate Court judge Philip Waki has filed a preliminary objection to the application by activists David Matsanga and John Kimani to have the contents of the Waki envelope made public. He also argues that there is already a similar petition before the Mombasa High Court filed by Kepha Mwebi against him and others. Even so, he continues to argue, he cannot be personally compelled as the Chairman of the Commission of Inquiry into the Post Election Violence of 2008 (CIPEV) to divulge the findings. The findings of which were presented to President Mwai Kibaki, he submitted, and were therefore now the property of the State. He also challenged the reasons given by the two for their application saying they had not provided proof of their submission that Matsanga had challenged the decision of the International Criminal Court (ICC) to adopt of the Waki report in the case facing Deputy President William Ruto and journalist Joshua arap Sang. masterminds of the 2008 PEV had led to heightened tension in light of Ruto’s pending case before the ICC. be in the list which may end up in violent attacks,” they submitted. Political activists David Matsanga and John Kimani moved to the high court to order Justice Phillip Waki, Office of the Prosecutor of ICC, and the Attorney General to ordered to publish and publicize, the entire full and proper report prepared by the commission of Inquiry into the Post-Election Violence (CIPEV) including the secret envelope containing the names of persons suspected to have borne the greatest responsibility for the postelection violence, which was submitted to Annan. 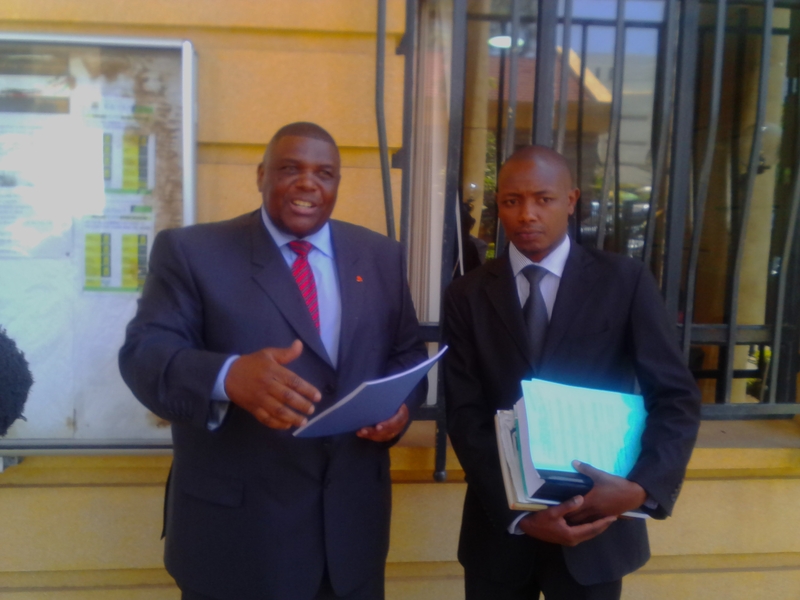 According to the court documents filed in court the petitioners David Matsanga and John Kimani argues that on 13 February Matsanga he filed an application at the ICC challenging the admission of the report by the commission of Inquiry into post-election Violence (CIPEV) as evidence in the case of the Prosecutor against William Samoei Ruto and Joshua Sang. The application has not been heard yet. In the application filed at the Milimani law courts, the two claim that they have to be availed with part of the report by CIPEV so as to prosecute the case pending before the ICC court. They argue that the report are unlawfully, unreasonably, and illegally holding the report without any justification whatsoever. According to the two, the disclosure of the contents and names contained in the sealed envelope is extremely necessary and important in implementing all the recommendations made by CIPEV and also to enable mandated state agencies take any additional or extra action regarding the said report if at all. The application before the ICC is scheduled for hearing on March 23 this year. Although the Waki Commission did not publicly disclose the alleged perpetrators of the violence, the commission gave an envelope containing the names to Kofi Annan, who brokered a power-sharing agreement between Mr Kibaki and Mr Odinga. In early 2009, Parliament rejected an amendment Bill for a special tribunal to try the suspects. Mr Annan then handed over the envelope in July 2009 to Luis Moreno-Ocampo, the then chief prosecutor at the ICC.